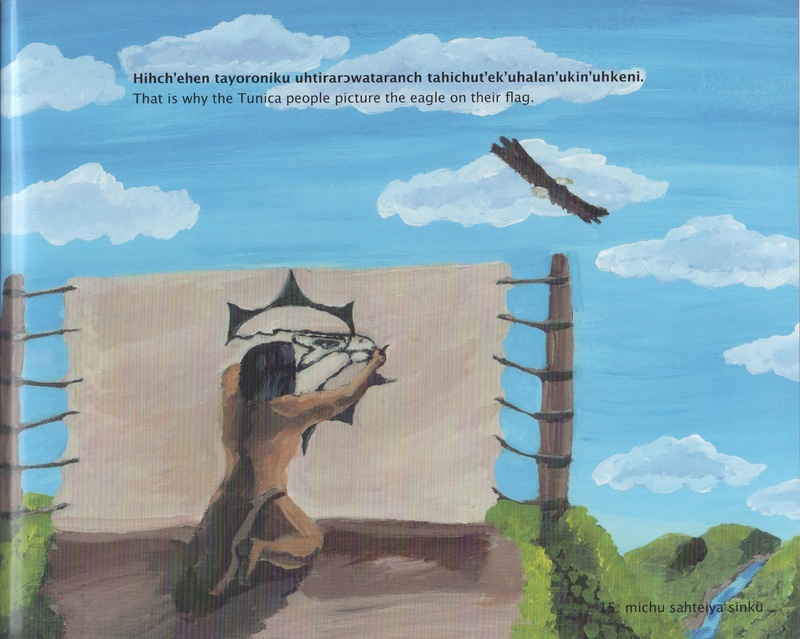 The Tunica Language Project published their first illustrated bilingual children’s book, Hichut’una Awachihk’unanahch, Fighting Eagles in 2011. 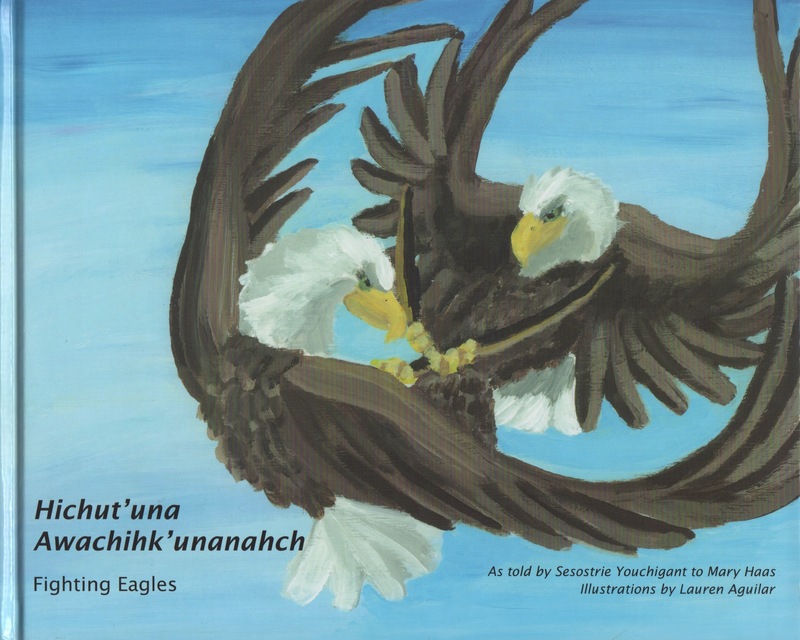 This book contains two stories: Hichut’una Awachihk’unanahch, Fighting Eagles (the title story) and Takohku Tayakman, Deer and Turtle. 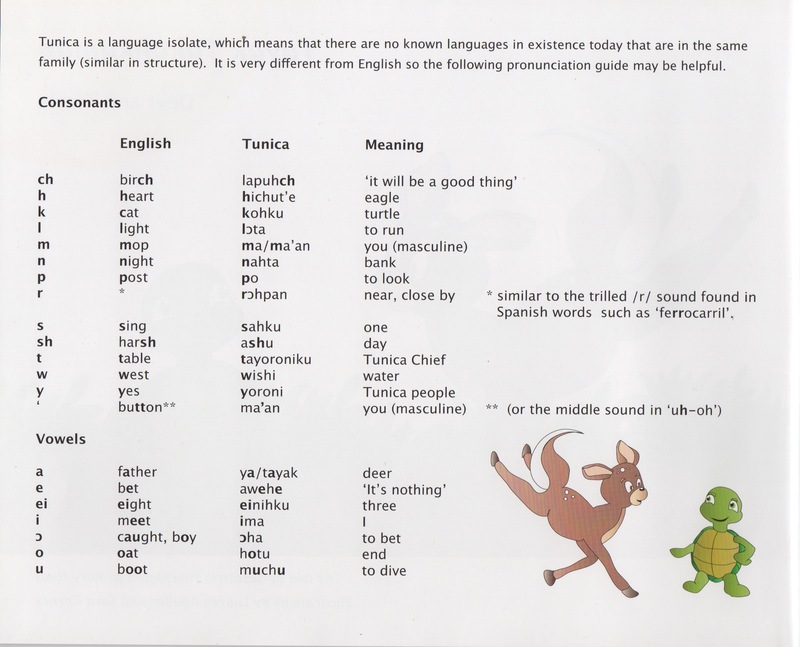 Providing the reader with model pronunciation of Tunica words, an audio CD accompanies this book. The texts are based on remembered tales that Sesostrie Youchigant shared with linguist Mary Haas in the 1930s. Youchigant, the last known, recorded speaker of the Tunica Language, was elected Chief in 1911 and led the Tunica until 1921. Haas published these stories in Tunica Texts (1950), since out of print. 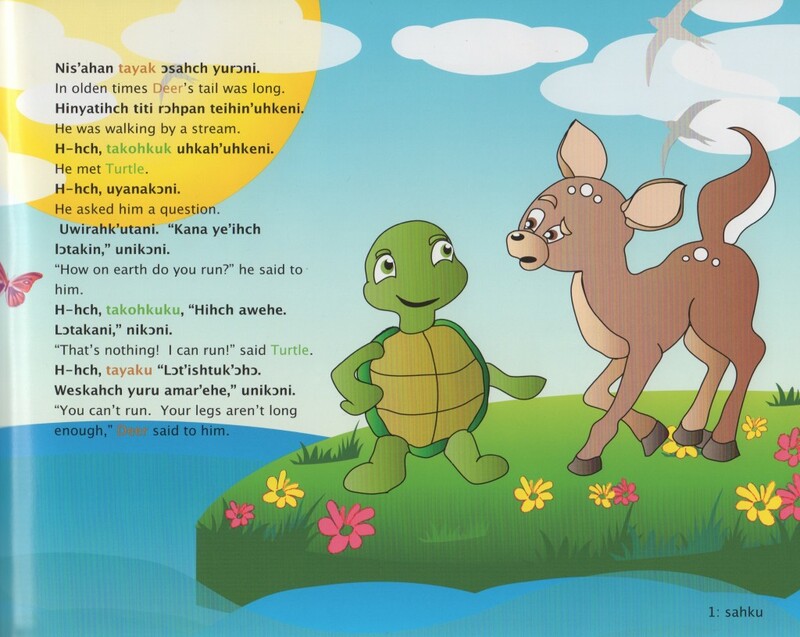 The Tunica Language Project has been granted permission by the University of California Press to use these materials for their children’s books. Pronunciation key provided in the text. The writing team, led by Dr. Judith Maxwell (professor of anthropology at Tulane University), consisted of undergraduate and graduate students (Raina Heaton, John DePriest, Joshua Rogers, Katherine Bell, Rebecca Chilbert and Joyce Bennett), along with faculty member Dr. Nathalie Dajko. The tribe provided the necessary funding for the book’s publication. Lauren Aguilar, a member of the tribe, composed original oil paintings to illustrate the “Fighting Eagles” story. 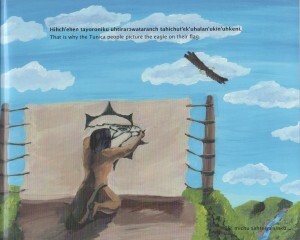 The book was presented to the tribe in May of 2011 at the annual Pow-Wow on the reservation. 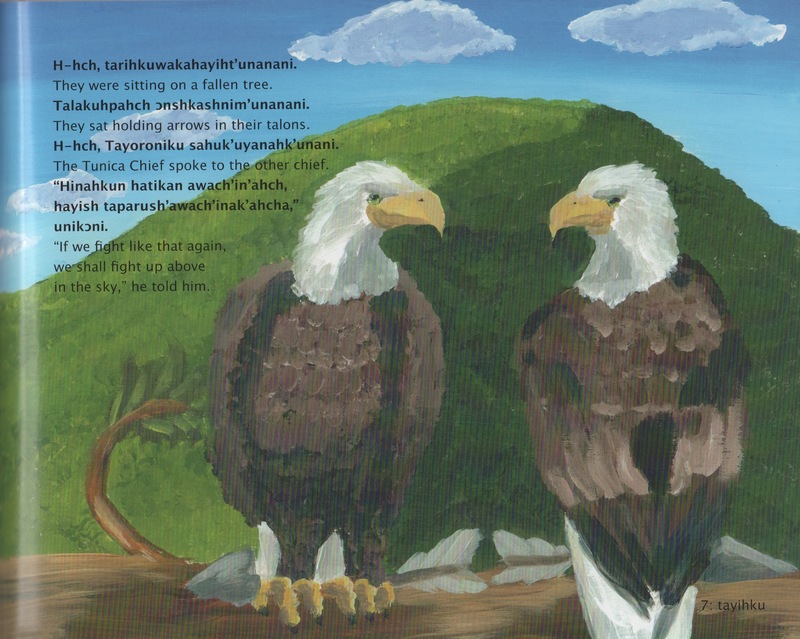 A public reading was held in which two tribal elders (one from the Marksville band and one from the Houston band) read the Tunica texts aloud, while two children read the English translation. All tribal members received copies of the book, with 650 copies distributed in total. A second book, containing three more of Sesostrie’s stories, is finished and awaits publication.